I had an inspiring week in Minneapolis with a few hundred fellow experiential designers. It was rewarding getting to know each other, learning and sharing work and insights. 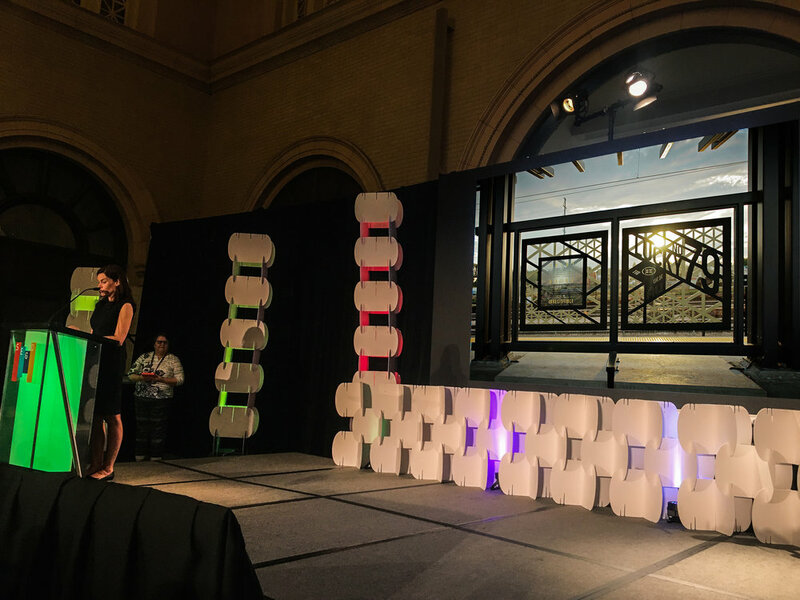 The conference culminated with the annual SEGD award ceremony. We were fortunate to be recognized with an Honor Award for our RTD Denver G-Line Windscreen project. Even more humbling considering we shared the category with such beautiful and imaginative projects from Pentagram, 150 Media Stream, Fabio Ongarato Design and the Metropolitan State University of Denver. It’s been almost two years since we installed these 58 panels over a two week period. Unfortunately, due to technical issues, the G-Line has yet to open to the public. It nice to see it is getting a little public exposure.